There are approximately 748,106 people employed as electricians in the United States. The workforce is in high demand as we live in a constantly changing world that requires more and more electrical power. In fact, most of us today could not imagine living a whole day without electricity. Becoming an electrician means understanding some very basic concepts, knowing codes, but it also requires knowledge of the ever-changing technological advancements. Many great men had to happen before we could get to the present day, an age where our lives practically run on electric current. Electricity has been a thing since the dawn of time, but it was a big day when Benjamin Franklin performed his kite experiment and asserted the lightning was electricity. Then, of course, there was Thomas Edison and Nikola Tesla. Both men who advanced ideas and discoveries in generating electricity for the masses. Alexander Graham Bell advanced the use of the telephone and Albert Einstein who contributed to energy research. There were many more among them of course, but you get the idea. Mechanical aptitude. Electricians are good with their hands and naturally adept with mechanical objects—i.e taking things apart and putting them back together again. Problem-solving skills. When called out to a home or commercial property, electricians can be faced with any number of issues. Many times it’s going to require keen diagnostic skills in order to assess an issue in an effective and efficient matter. Reading Comprehension. Work orders and instructions, as well as technical texts that need to be studied, require a profound reading comprehension. Mathematics and Engineering: Many times these are natural inclinations, a solid electrician is a good mathematician and has a natural aptitude for speed. Great communication skills. Any electricians will have to have reliable communication skills in order to properly communicate to their customers what the problem might be. A good electrician has the natural inclination to fix things, has a natural technical understanding of mechanics, but also a developed skill set acquired over time with work and apprenticeships. Electricians must attend school for a significant amount of time and practice the trade. In the state of Texas, all electricians must also register with a valid license. All of these preparations and requirements for our work as electricians set the foundation of trust with our customers. 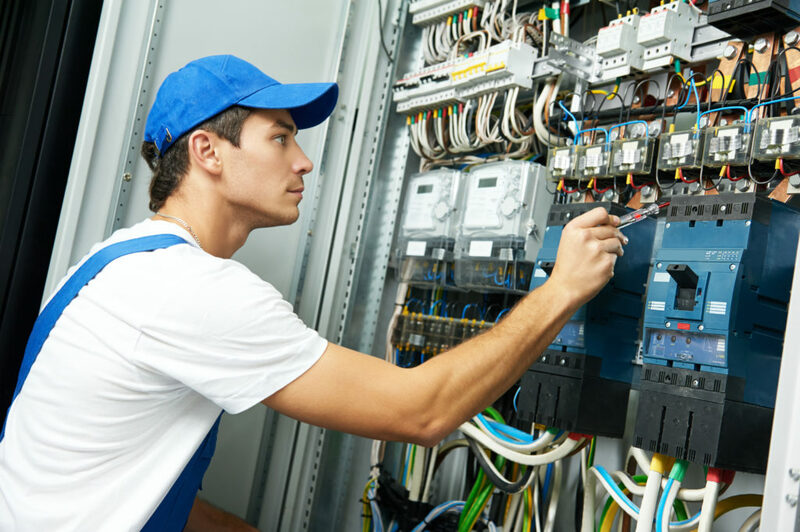 At Omega Electrical we employ only the most experienced El Paso electricians with adequate training and sufficient experience. Our local and talented staff are here to help you with all your electrical needs. Give us a call today!